Just remember, this may be a temporary band aid for now but this system too can be monopolized by governments and eventually changeover to another fiat currency.-A.M.
From E-Gov Link – E-Gov Link announces integration with Bitcoin in its popular E-Gov suite of products. Now municipalities can offer their citizens another option in paying for services like permits, utilities, class or event registration, shelter reservations, or even parking tickets. E-Gov Link announced today integration of Bitcoin payments into its popular E-Gov suite of products. Bitcoin, a global digital currency, is gaining in popularity, and provides citizens and municipalities a more cost effective solution for payments. Local governments who offer online payments can now provide their citizens with another choice of payment method. Integration with a backend payment processor provides the municipality with US Dollars that they expect. And the transaction costs are a fraction of traditional credit card purchases. E-Gov Link was quick to react to the guidance from the US Department of the Treasury (FinCEN), which came out last week, defining the parameters for using virtual currencies. This guidance clarified the rules, and opened the door allowing municipalities to accept Bitcoin. 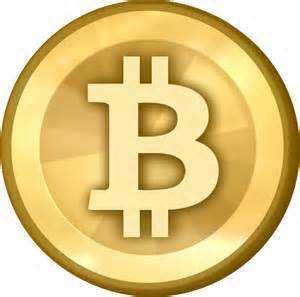 Government entities accepting Bitcoins is a natural evolution, as Bitcoin becomes more popular. Bitcoin, the world’s first decentralized digital currency, has a current market value of approximately $95 per Bitcoin. With nearly 11 Million Bitcoins in circulation, the Bitcoin economy is more than a billion dollars strong. The system uses advanced cryptographic mathematics to protect the money supply and to validate transactions, and peer-to-peer technology to maintain a world-wide common ledger, tracking which accounts contain Bitcoins. This means that users can transfer money world-wide nearly instantly for almost no fee, without trusting a corporation, bank, or other middle-man. It’s truly a revolutionary technology. E-Gov Link software is used by progressive municipalities in more than 60% of the states. E-Gov Link provides Citizen Request tracking, software to manage parks and recreation services, permitting, and other website products. E-Gov Link is a trade name of Electronic Commerce Link, Inc., of Cincinnati Ohio.